The new best part of waking up. Coffee Ale combines two of my favorite things. First, coffee, which keeps me alert and provides me with the necessary will to live. Second, beer, which makes everything better, until it suddenly makes everything sad. 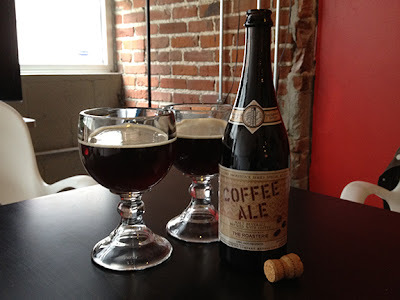 A collaboration between Boulevard Brewing Company and The Roasterie, the release of Coffee Ale seems to be relatively hype free. I was in and out of Cellar Rat with a few bottles this morning, no problem. As opposed to the Great Chocolate Ale Hunt of last year, which involved showing up at Lukas Liquor at 7 a.m., and even then not being the first person in line. Old Man Hidden Valley must be spinning in his grave. Taco Bell announced on Monday that its Facebook fans could get the Cool Ranch Doritos Locos Taco a day early. As we at Lunch Blog firmly believe in always living mas, we were happy to take them up on this exclusive offer. 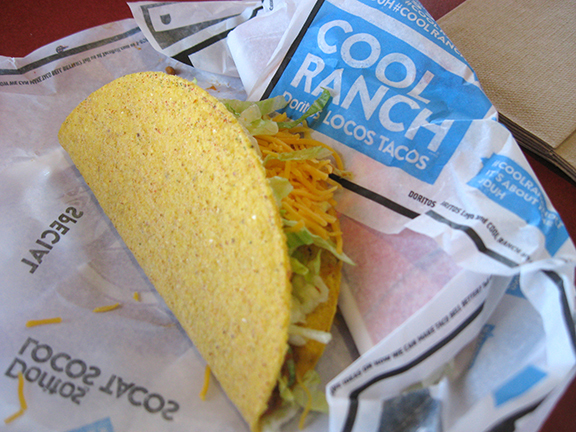 Besides, we didn’t want Taco Bell’s feelings to get hurt if none of its other 9,875,766 fans showed up. 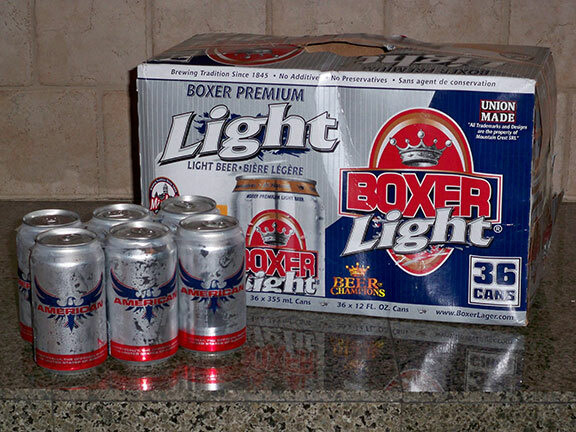 In the fight against good taste, these beers are the champs. I’m a Yard Beer Anthropologist. Or I would be, if that was actually a thing and not something dumb I invented to justify my weakness for trying beers I should really know better about. 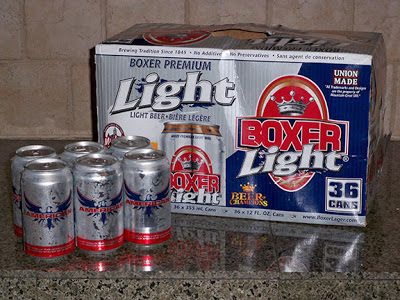 The latest two are Boxer Light and American. Before I came across them in the liquor store, I’d never heard of either one, but I was intrigued by both.